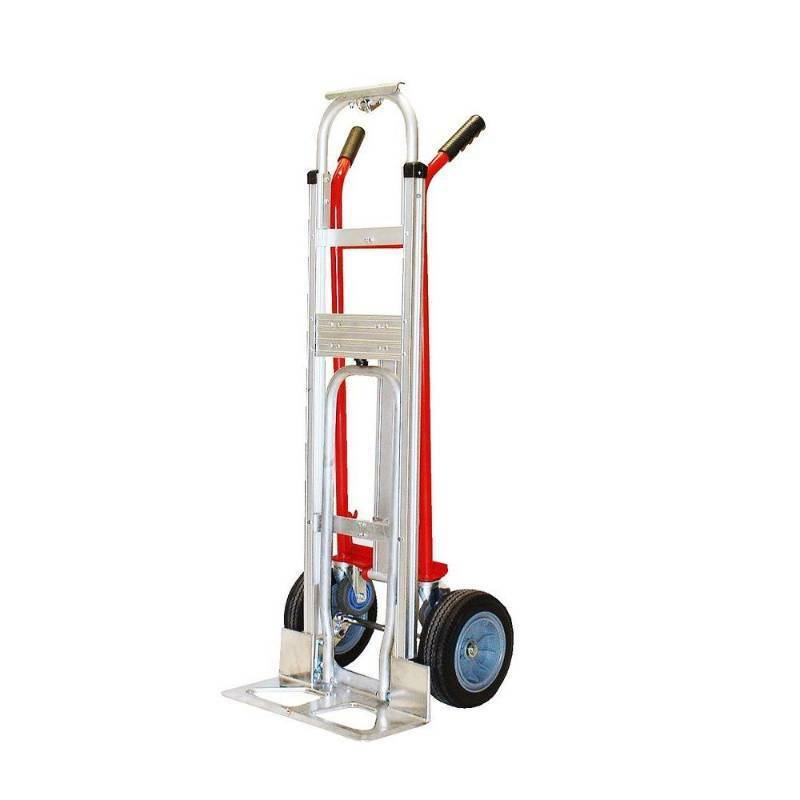 4 in 1 hand truck easily converts from the 2 wheel vertical position to the 4 wheel horizontal position without the use of any bolts or screws. The 4 positions give this unit the capability to be ideal for any size and type of job. It has an 800 lb. 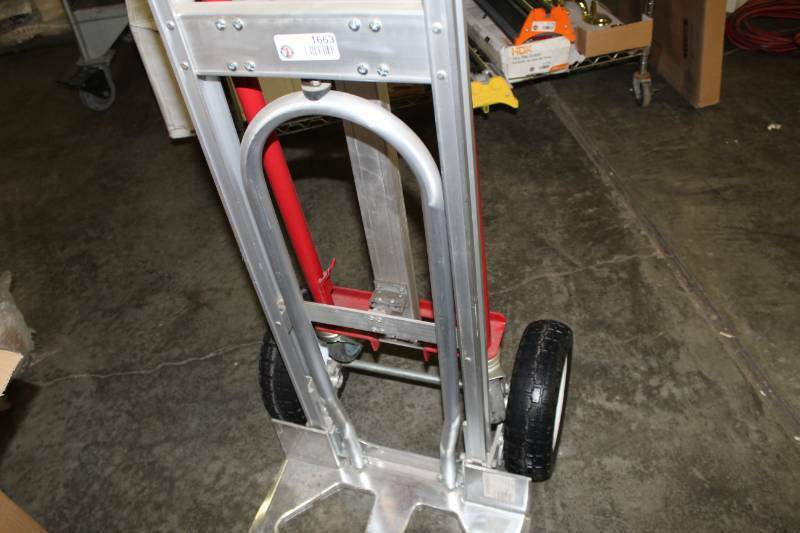 load capacity in the vertical position, 1000 lb. in the horizontal position and 500 lbs. 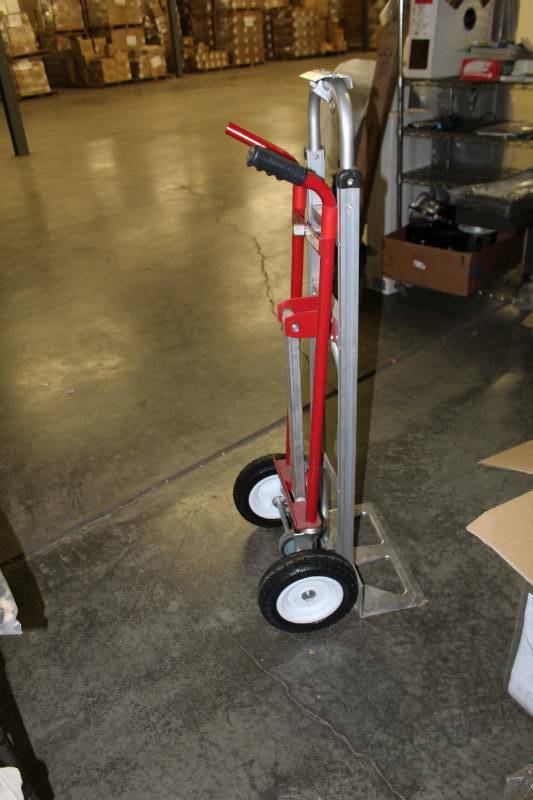 in the 45° position where the retractable casters are used to help distribute the load during transport. This is very helpful when the load gets more difficult to move/control in the vertical position. The unit helps to reduce back strain while getting the job done. The built-in nose plate extension folds down to support extra-large and bulky loads. 10 in. puncture proof tires never go flat.